White gold is the new platinum. At least, that’s what it looks like. Our 6mm men’s designer satin-finished 14k white gold wedding ring with two parallel cuts is the perfect band for the modern man who wants something a bit more unique. Two parallel cuts add a hint of polish to this satin-finished 14k white gold ring. With a squared-off edge and a rounded comfort fit design, this 6mm creation is among our latest collection of designer white gold bands for men. The satin finish offers a more masculine look, while the two lines provide that unique touch that will turn heads wherever you go. 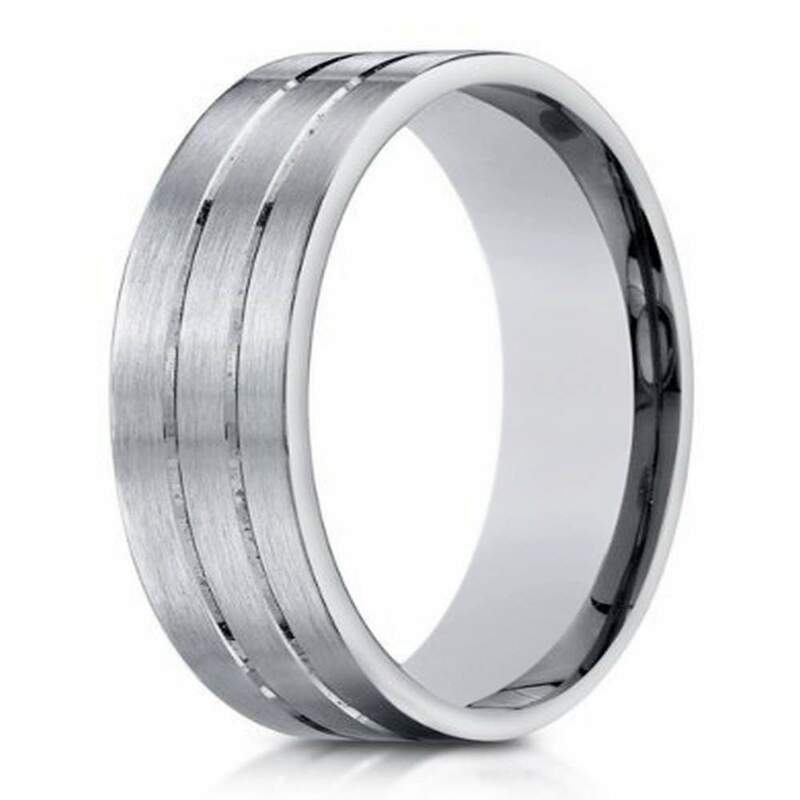 Our 6mm men’s designer satin-finished 14k white gold wedding ring with two parallel cuts offers a comfort fit band for all-day wear without worry of irritation or discomfort. Comfort fit rings usually measure half a size smaller due to the additional metal inside the ring. We recommend having your finger sized by a professional jeweler before purchase. We also offer customization options to make this ring truly one of a kind. We offer engraving of up to 30 characters. If you have any questions, please contact a customer service representative who will be happy to help.